Essence/Catrice hosted event for beauty bloggers a while ago and we had opportunity to pick 10 products to take home with us (I’ll translate post about what we received for testing next week). 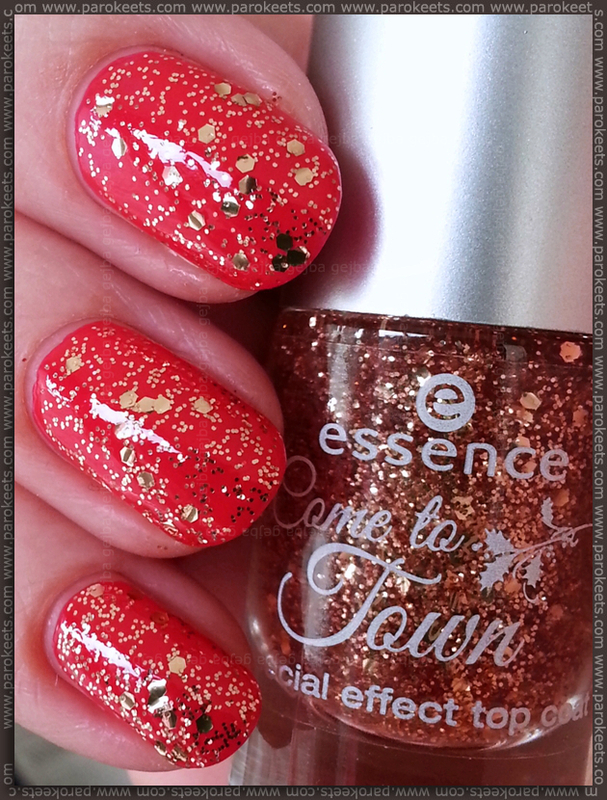 As you can see I was really charmed by these 2 sets from Essence Come To Town as I sacrificed 2 lots for them. But they’re really cute and thought gift. 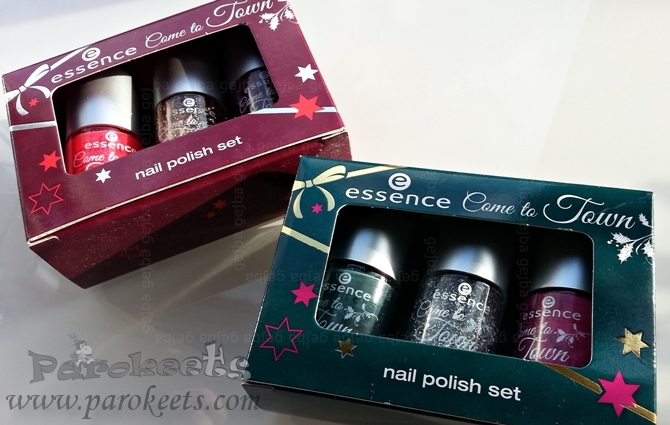 Pack of three 6ml nail polishes – 2 base colors and one glitter topper. Best part? You can dedicate it to the person you’re giving it to. Small gift of appreciation that doesn’t cost much. I loved it! 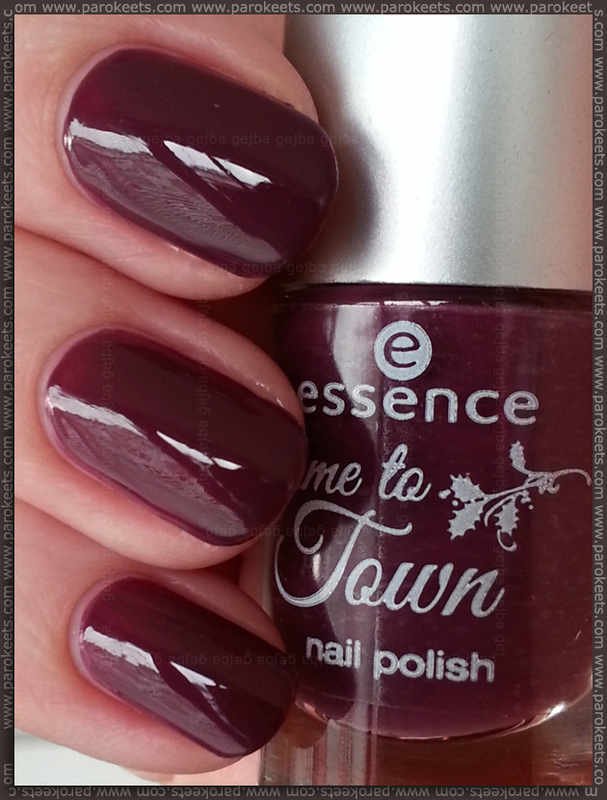 Essence Come To Town – 01 Naughty or Nice? Naughty or Nice? is warm-toned trio. 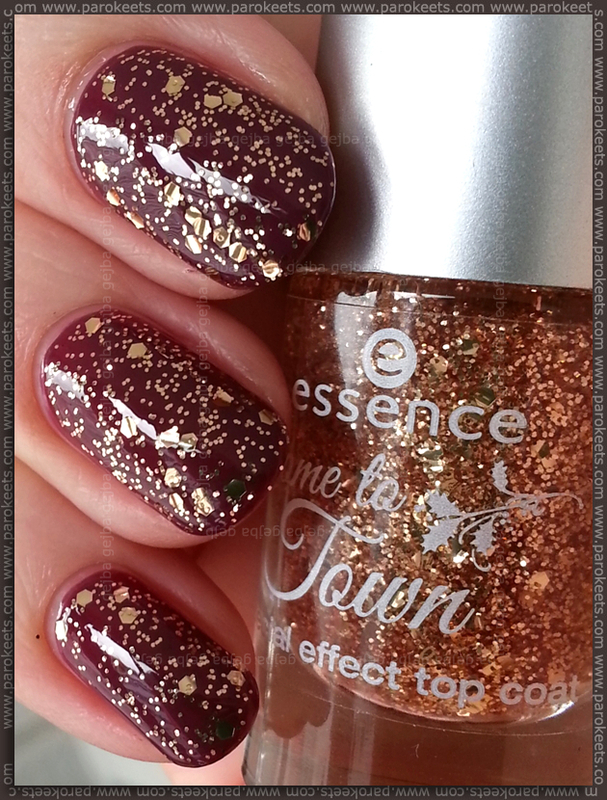 Deep purple nail polish and slightly pinkish one as base/primary colors + gold top coat. I did like both of them, but topper is the one that is a winner for me. 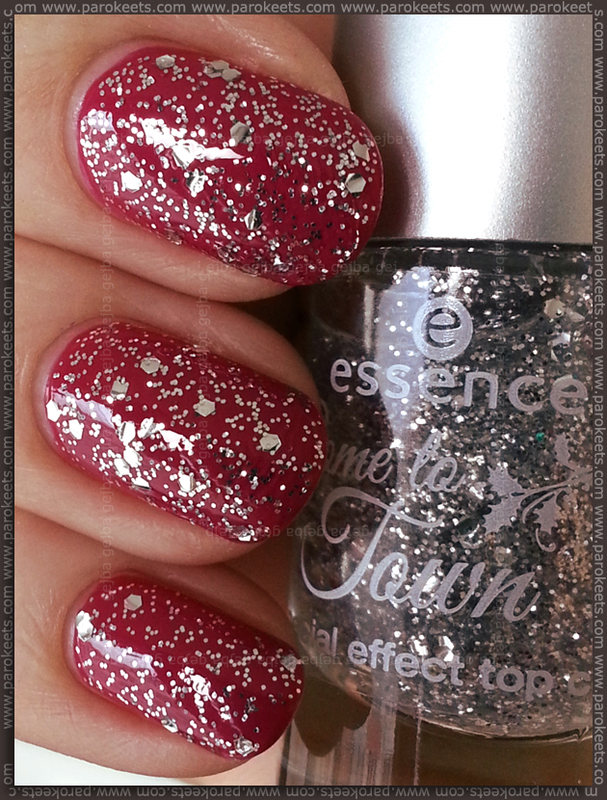 Great base that holds glitter well so it is easy to spread evenly all over the nail. I would say all three nail polishes have satisfactory formula which is easy to work with. They only lose point for upstanding coverage. 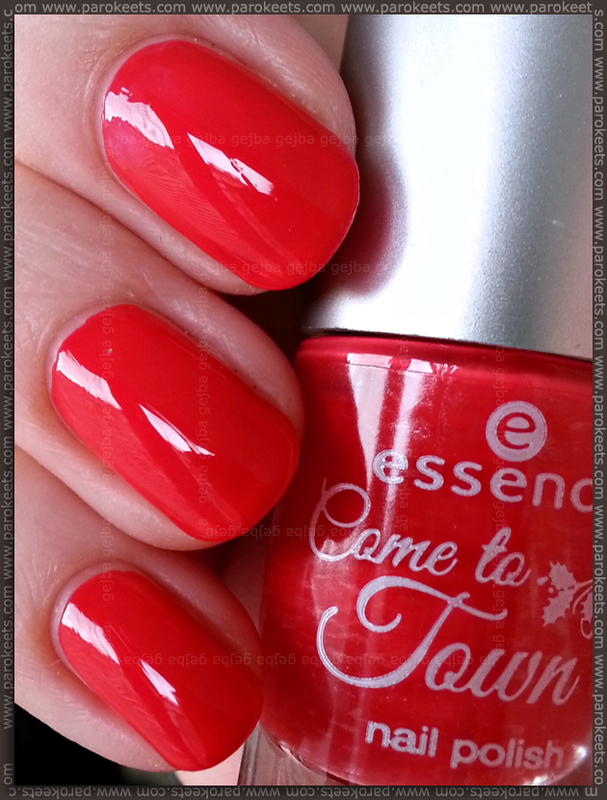 Essence Come To Town – 02 Got My List? Got my List? is the cool-toned combination. Dark green and purple base polishes with silver topper. 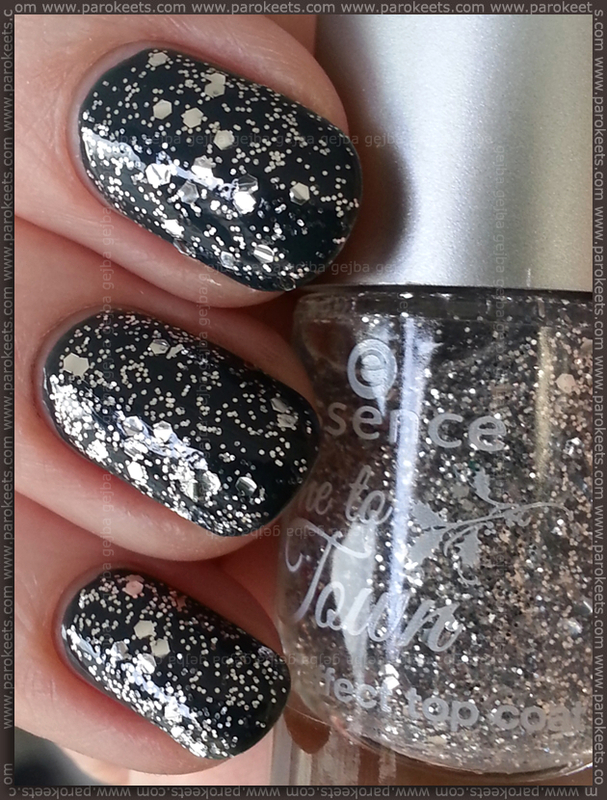 For some reason, I don’t “feel” this silver glitter top coat. It lacks that little something. 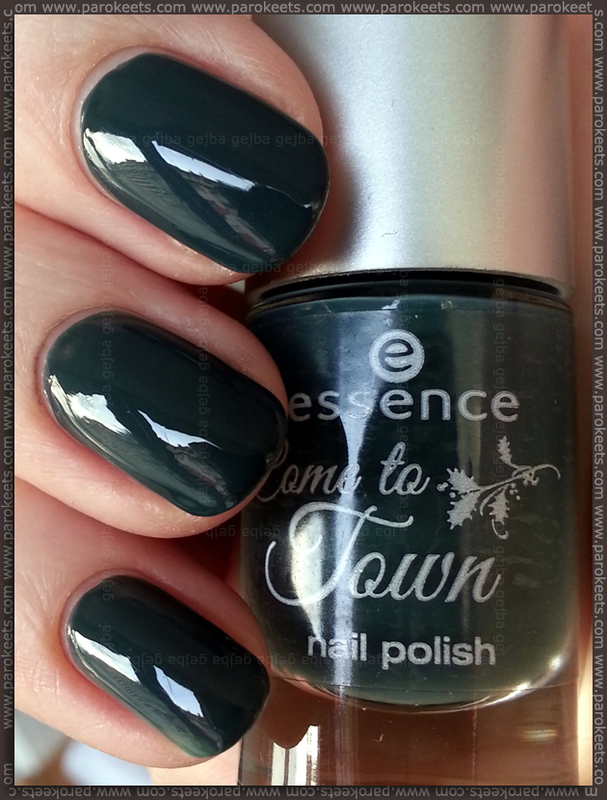 But dark green nail polish is really beautiful. Formula is possibly even little bit better in set no. 2. No complaints really. And brush was OK too … but then again it is Catrice which tends to lack in that department, not Essence. Price for individual set – 3,79 EUR. 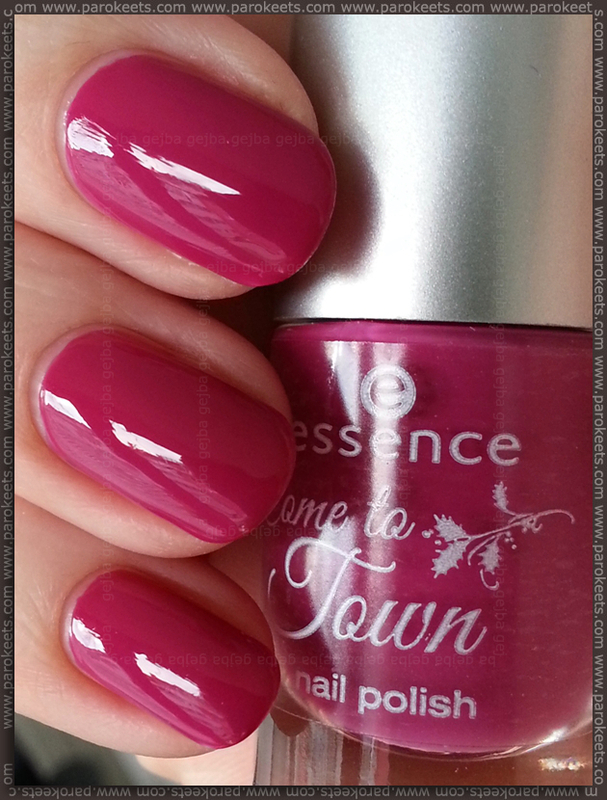 Essence Come To Town is already available in Slovenian DM stores. Next articleStamping with crackle nail polishes? Prvi set čisto obožujem, iz drugega bi pa imela samo zelenkota, zato sem ga raje preskočila. Oh, the green one from the second set has really caught my eye. Very pretty shade. Not with that glitter, though. I think it might look better with the gold glitter from the first set.